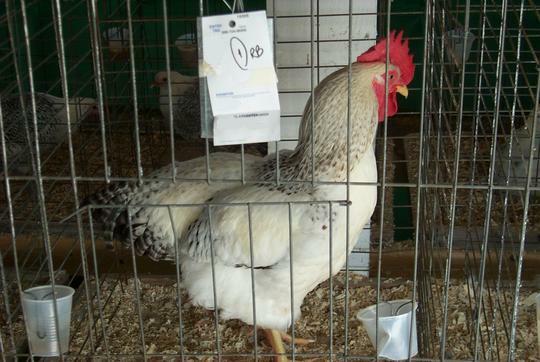 At the 2004 Erie County Fair, I was able to get literally hundreds of interesting pictures of chickens. 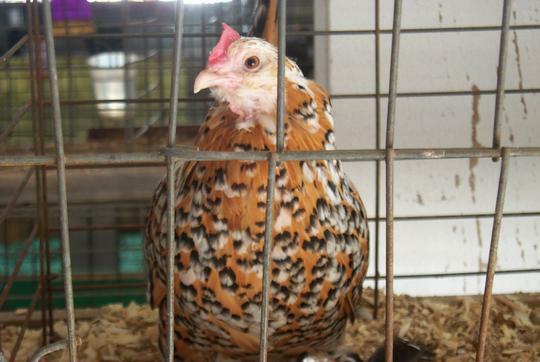 Even after all these years, I still have this thing for chickens, even though I really don't want to be raising them. I don't want to be a slave to the property and not have a life beyond that. Naturally, I respect those who do raise them. 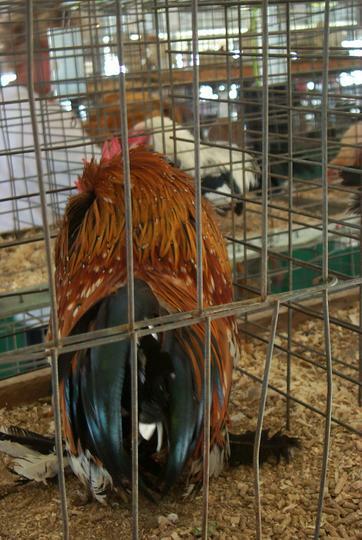 Why in the world am I getting pictures of rear ends of chickens? Maybe because I can't exactly pose the bird the way I wanted to. Nevertheless, I like the way the feathers came out on this one. This time, I believe I got the face of the little guy. He may or may not be happier about it. 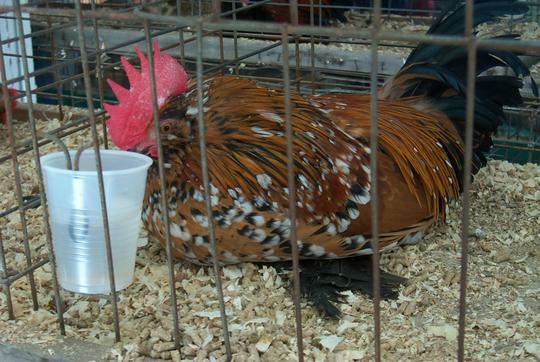 Is this the rooster's lost sister? 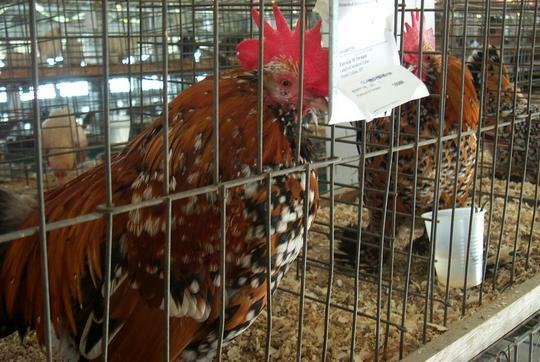 Even if not, I like the coloration in the feathers. Did this guy throw a wobbly 1 or what? I see a dented plastic water cup. Or maybe the children scared him a little. 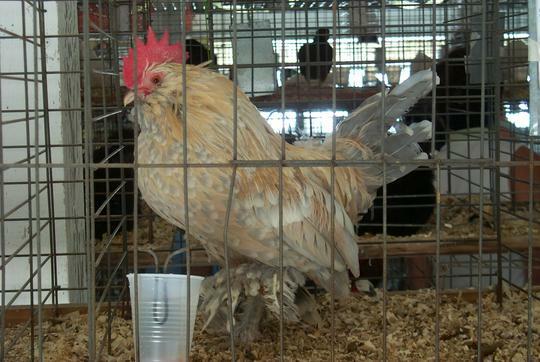 This fellow looks pleasantly colored, still with the feathers poking out around his feet. 1 British slang for having a temper tantrum.